While the US decison to recognize Israeli sovereignty over the Golan Heights is primarily being explained away with geopolitics, it, in fact, has much more to do with US domestic politics. 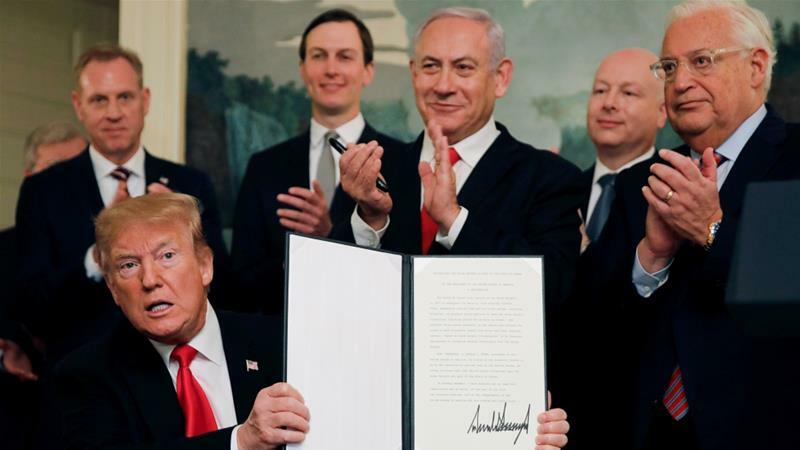 With this move, President Donald Trump aims to cement the gradual shift in partisan support of Israel from the Democrats to the Republicans and rally evangelical Christians around his presidency. Click here to read my latest op-ed. 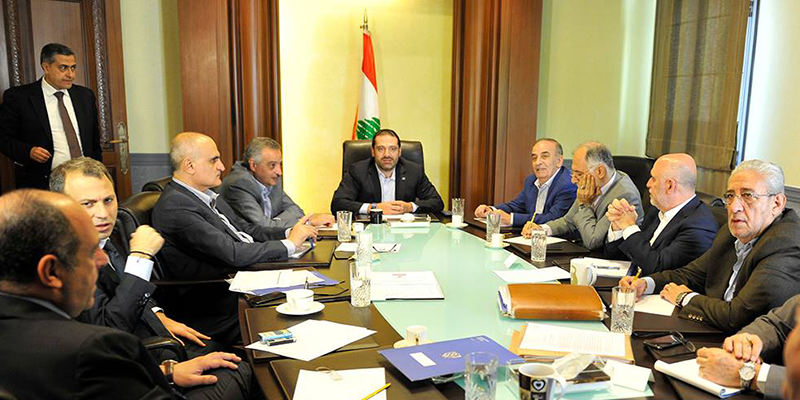 The latest buzzword in Lebanon is combating corruption. Nearly every political party, most notably Hezbollah, is preaching this mantra. 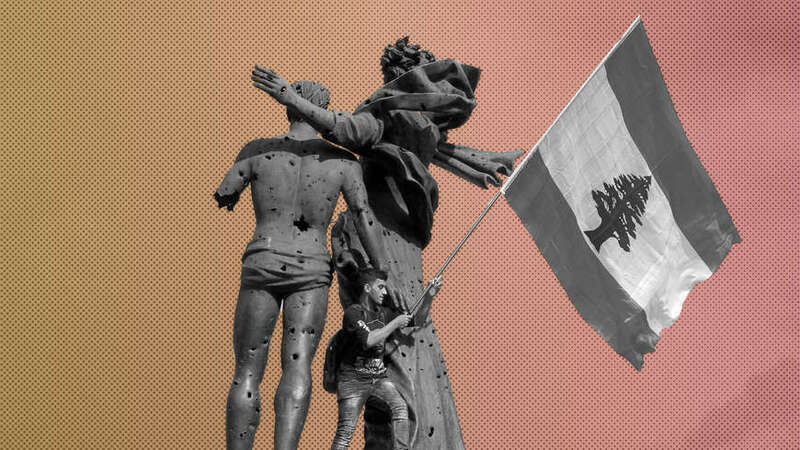 The Lebanese public and international donors are complaining about political corruption, as the country grapples to survive a grave economic and fiscal crisis. Yet there are questions concerning the depth and seriousness of these efforts. Click here to read my latest on Lebanon. Quoted in LA Times on Pompeo’s visit to Lebanon and Trump’s Golan Heights decision. Trump’s policies also complicate Pompeo’s mission by making it difficult for potential allies in the region reluctant to openly support U.S. plans, said Joe Macaron, a resident fellow at the Arab Center in Washington, in a phone interview on Friday. Click here to read the full quote. “Washington should be careful not to push Lebanon to the brink, as Hezbollah would retaliate if its survival is at stake,” said Joe Macaron, a resident fellow at the Arab Center in Washington. “In the current status quo, the most effective way to restrain Hezbollah remains within the intricate parameters of the Lebanese political system,” he said. You can read the full article here. 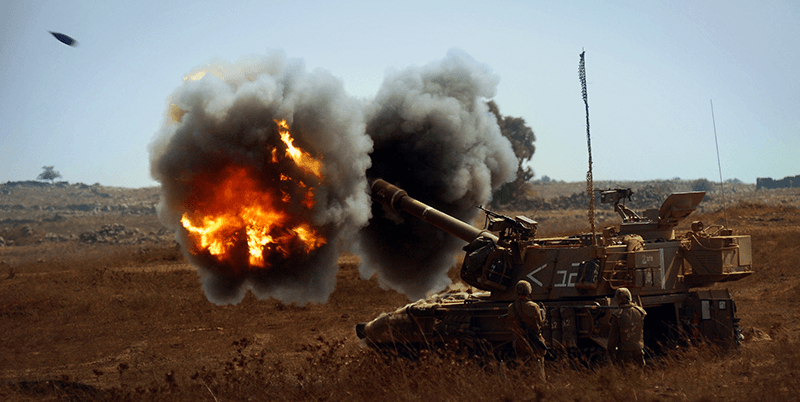 While a direct confrontation between Israel and Iran is unlikely in the foreseeable future, the two adversaries share three potential war fronts in Lebanon, Syria, and the Gaza Strip. As tensions increase between Israel and Iran, there is speculation as to which front might witness the next confrontation. Importantly, all these fronts are mutually connected in terms of military strategy and political calculations. Click here for my latest analysis. 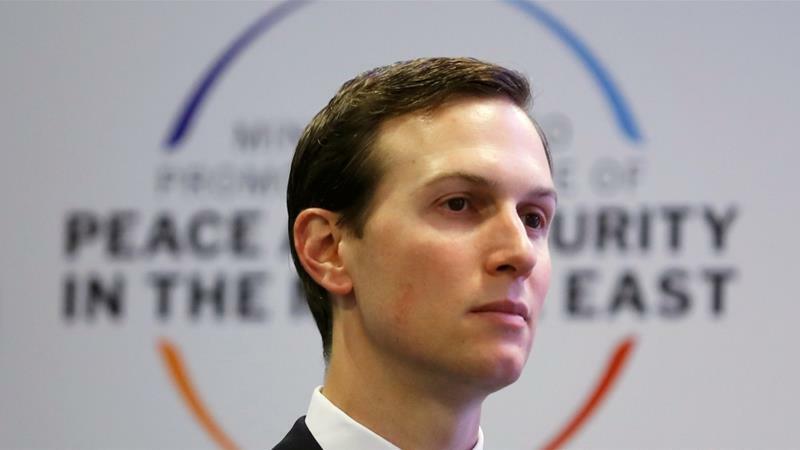 The Trump administration’s strategy of linking a flawed Israeli-Palestinian deal to an Arab-Israeli alliance to deter Iran might undermine these two US objectives in the Middle East and might even backfire against US allies and interests in the region. Click here to read my latest op-ed. In the past two months, US officials have been baffled by how to spin President Donald Trump’s hast decision last December to withdraw US forces from Syria. Once again, they were unable to come up with an American strategy. 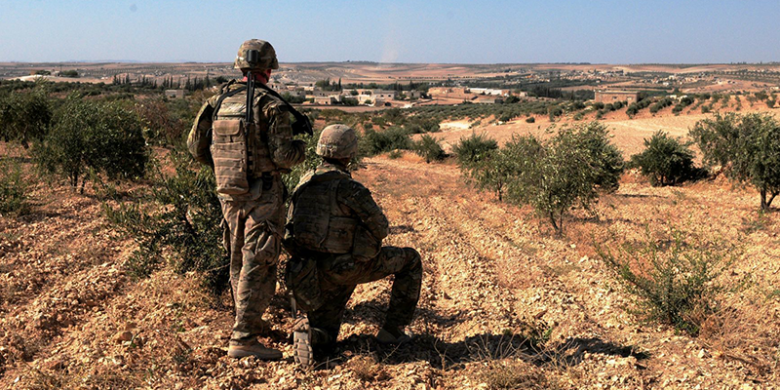 Across the US federal government, the advocates for staying in Syria have been buying time from Trump over the last two years to maintain US presence in the war-torn country. Click here for my latest analysis. Joe Macaron, a fellow at the Arab Center Washington DC, said announcing a resignation on Instagram is “unconventional and unprecedented” for an Iranian official. “It seems… Zarif submitted his resignation letter and went on social media before either Rouhani and Khamenei [can] react to this resignation, which might mean that Zarif is locked in a fight with hardliners on what directions should the Iranian foreign policy take amidst growing US pressure on its economy,” Macaron told MEE via email. 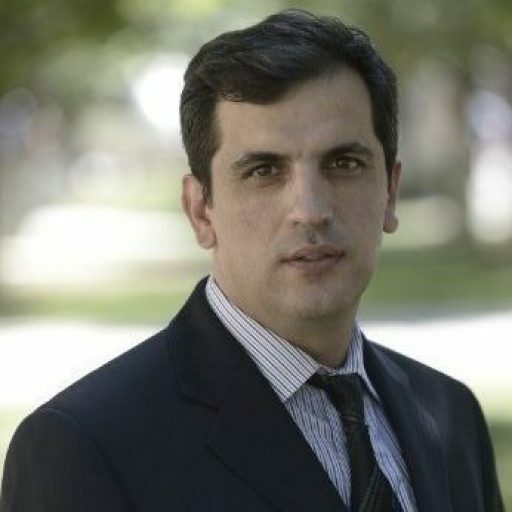 “We are yet to know the full story behind this resignation, but it seems to reflect heated debates in Tehran around the foreign policy challenges facing the Iranian regime.” Click here to read the full article. 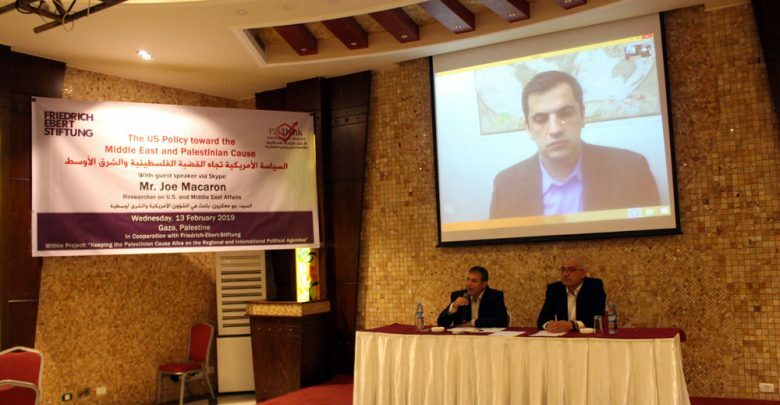 I had the pleasure to speak via Skype at the Pal-Think for Strategic Studies, an independent think tank based in Gaza, about “the US Policy Towards the Middle East and Palestinian Cause” in partnership with Friedrich-Ebert-Stiftung. The session took place on Wednesday, February 13, 2019, at the light-house Hotel, Gaza City. Click here to read the summary of the event. After 257 days of political impasse, Lebanon’s 75th government since independence was formed on January 31. The reaction in Washington and in the American media has been that Hezbollah now controls a majority in the Lebanese government and thus the country. However, putting this development in context is crucial to understanding how and why the cabinet was formed and, most importantly, what challenges it will face moving forward. Click here to read my latest policy analysis.